You can’t make friends with a cheese platter! A few months back, I was at the wedding reception of mon mari’s best friend. Although i had a few fleeting conversations about New York and its amazing ‘energie’ with the other party guests, I was stuck in that buffer zone of not clinging to the people i had already used all of my Pringles jokes on and targeting who my next victim would be. So I did what any normal expat in search of inspiration would do, i propped myself up next to the cheese platter. Time went by. Champagne came and went. I was both invincible and completely invisible to the soiree. Victory was mine! Until the host of the evening, the ever sociable best friend of mon mari spotted me out. “You know, Jessie”, he whispered discretely in my ear. “If you want, I can happily introduce you to some people. 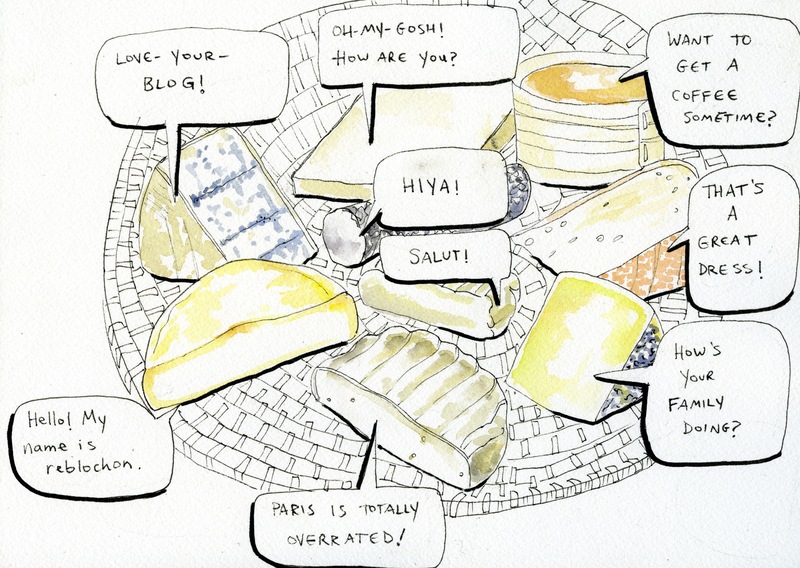 Although I often think otherwise, you cannot make friends with a plateau de fromages.’ Before I could translate “Try me, bro” into French, I knew I was thoroughly busted. Unlike America where everybody says “I love you!” and inclusion is a virtue, I am still teaching myself to be a bit more proactive in social situations in France. If not, it will be just me and the cheese.